How do I know my tyres need replacing? Tyres are one of the most important safety element for you and your vehicle. A good set of tyres ensures a safe and comfortable journey for you and your passengers. The air inside the tyres on your vehicle support the weight of the car, absorbing the bumps and shocks from uneven road services that have become the norm in the UK today. Tyres are important for you to have the necessary traction to keep you from slipping and sliding on all types of road services. Giving you full control of the vehicle. 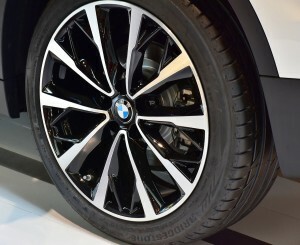 Poor tyres can hinder your car’s performance, increasing braking distances and fuel consumption. How do I know my tyres are legal? 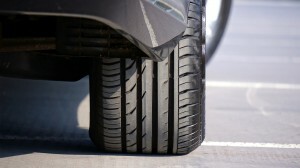 The legal requirement is the tyre should be 1.6 millimetres across the width of the tyre. Most manufacturers include a tread wear indicator on the tyre, this can be found in the tyre tread and becomes more visible when the tyre starts to wear. Tyre depth below 1.6mm will fail an MOT. What will make your tyres illegal? Your tyres will be illegal if the surface area of the whole thread is below 1.6 millimetres. You can check your tyre depth by looking for the manufacturer marking where the tread wear indicator would be placed. If your tyre is below 1.6mm we recommend you get your tyre changed as soon as possible. Here at Boxer Motor Works, we can change your tyres and also provide wheel alignment services. 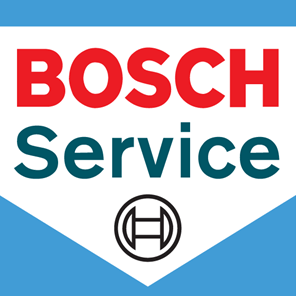 As a Bosch accredit garage we have the latest technology and methods to get your vehicle back on the road safe again. How do I prevent tyre wear? Tyres are a great expense, even more so when you have to replace more than one tyre. So knowing how to prevent tyre wear is important, as this can save you money, time and help keep your vehicle safe. Regularly check your tyre pressure, you can find the correct tyre pressure in your car manual or you can check on most cars on the information stuck next to the driver’s door. This should be checked more often during cold weather. Make sure you do not overinflate the tyres as this can also reduce traction and braking. You can also prevent tyre wear by cornering sensibly, cornering at a sharp angle will decrease the life of the tyre. This is because sharp cornering at speeds can create more friction to the tyre, this leads to excessive wear and may split the tyre. Make sure you regularly check your tyre condition, as damages such as cracks can become a problem. Especially if you go over a pothole, as the tyre may get a puncture and deflate. Another prevention is making sure your vehicle undergoes steering alignment repair, this can be done here at Boxer Motor Works. Wheel alignment is important for the wheels to have the correct balance, as nonaligned wheels can lead to uneven tyre wear. Boxer Motor Works have been offering tyre fitting services for over 30 years. Contact us today for free expert advice on how we can help you with your car tyres today.